Formula 707 Weight Gain is a highly palatable, calorie-rich supplement specifically formulated to help all types of horses gain and maintain weight. 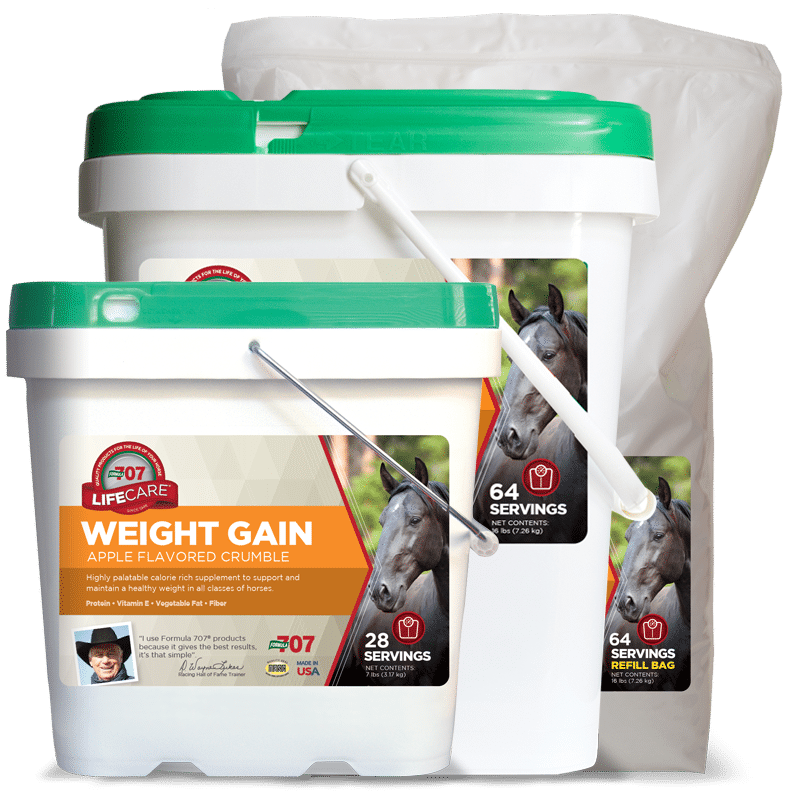 Vegetable fat provides concentrated and easily digestible calories in a form that also increases a horse’s overall energy. 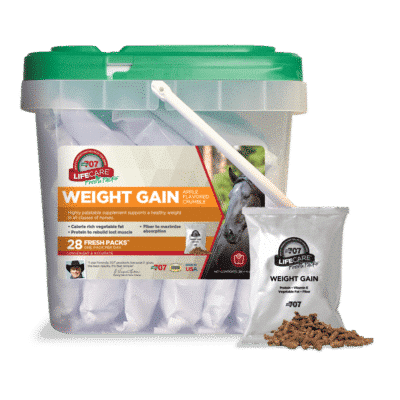 High-quality protein provides all the essential amino acids a horse needs to rebuild lost muscle, and fiber keeps the digestive machinery working smoothly. 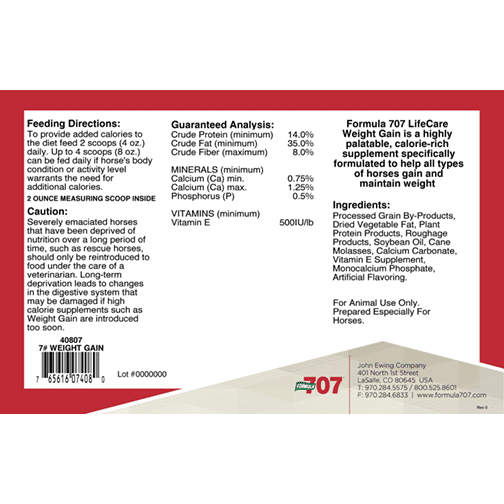 Calcium and phosphorus have been added to assist in the important task of skeletal maintenance and, along with zinc and copper, energy metabolism. Does it work? In informal studies, Formula 707 Weight Gain was shown to have a visible effect on underweight horses in just a few days, and a return to normal weight within weeks. Caution: Severely emaciated horses that have been deprived of nutrition over a long period of time, such as rescue horses, should only be reintroduced to food under the care of a veterinarian. Long-term deprivation leads to changes in the digestive system, and further damage can occur if high calorie supplements are introduced too soon.